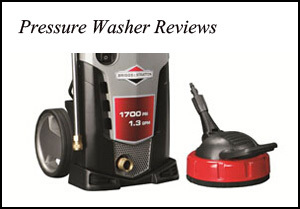 Pet hair is one of the main grouses customers have and no other machine can get rid of them as well as the Bissell Rewind Premier Pet Upright Vacuum. With patented pet hair removal technology and an endless list of exciting new features, this is one powerful machine that will blow your mind! It uses the Helix Dirt Separation system at its core. The hit feature of this machine which many customers enjoy is its automatic cord rewind function. The Bissell 67F8 uses patented technology to remove pet hair that’s impossible to remove otherwise. It uses a unique lint brush which collects on the lifter and goes back into the vacuum as you push it forward. This simple mechanism will rid you of all that unwanted pet hair around the house. Most customers were happy with the amount of pet hair this vacuum cleaner could pick up. The Helix Dirt Separation Indicator helps in capturing dust and increasing the life of the filter for longer lasting performance. With a 25 feet cord, this machine is easy to move around large areas without having to unplug and re-plug it. However, what makes it stand out is the ability to automatically rewind the entire cord so that it stays within the machine for convenient storage. The automatic cord rewind is a big hit with customers as it helps in quickly putting the machine away with minimal effort. The clean filter will check the status of the filter and indicate when it requires to be cleaned. Coupled with some of the other features, this makes for an efficient and smart machine to use. Washable filters that ensured the vacuum cleaner was ready for use again whenever the filters got clogged. This helped customers get more out of the machine as the suction improved and cleaning became better. Not much can go wrong with a vacuum cleaner as sorted as this one. Yet there are somereports of the low filters being difficult to wash every time. Since the main filter is surrounded by foam filters, unless you wash it with compressed air, it has to be washed with water and dried completely before reusing. The inflexible wand is another problem that some people have highlighted. In essence, the Bissell Rewind Premier Pet Upright Vacuum 67F8 delivers a powerful cleaning experience for your surroundings. It would be unfair to expect a machine to get everything spot on but the Bissell 67F8 comes close to it. If you are in need of a vacuum cleaner that can take care of all the pet hair that you keep worrying about then look no further. 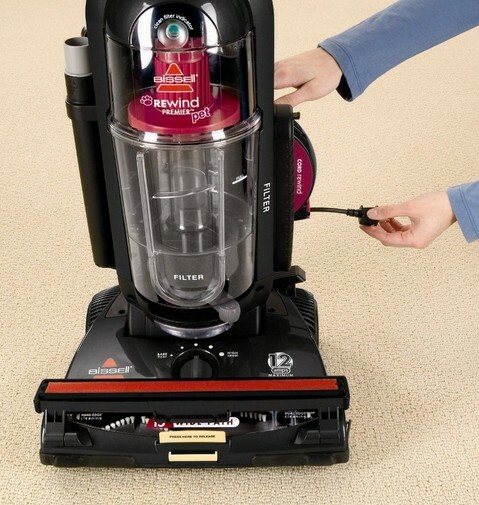 The Bissell Rewind Premier Pet Upright Vacuum 67F8 is your answer.